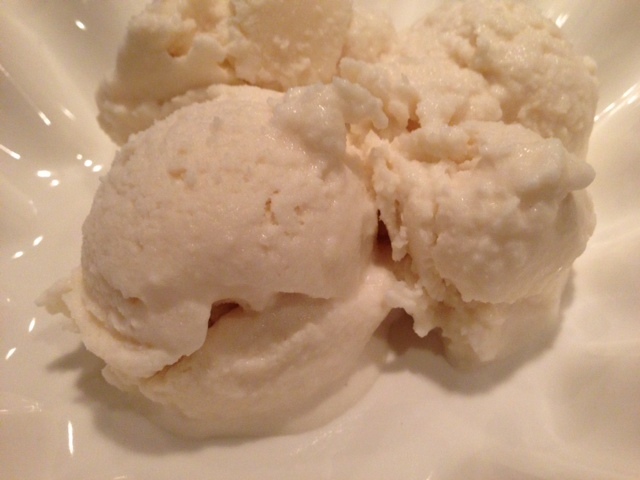 So I was left with a cup or so of coconut milk and decided to make ice-cream with it, or sorbet. Of course that cup of coconut milk was not going to make a lot so I added more coconut milk from a can. Ice-cream has usually a cream and a custard base, but this ice-cream really has nothing besides coconut milk and sugar. 3/4 cup of sugar, honey or agave ( I used agave syrup). In a large bowl, mix the coconut milk and the sugar. 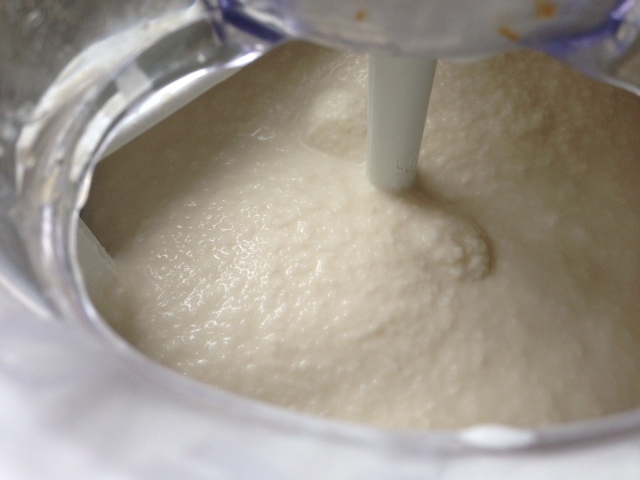 if you have an ice-cream churn, turn it on and pour the mixture in it. Let the ice-cream churn do its magic and within 20 minutes you will have some yummy ice-cream. It will be still very soft so place this soft ice-cream into a container and freeze for 1 hour. If you do not have an ice-cream churn, simply pour the mixture into a container and place this container in the freezer. Every 30 minutes, take the container out and with a fork mix the mixture to fluff it up. Repeat this step until the ice-cream is getting thick and the consistency of your liking.